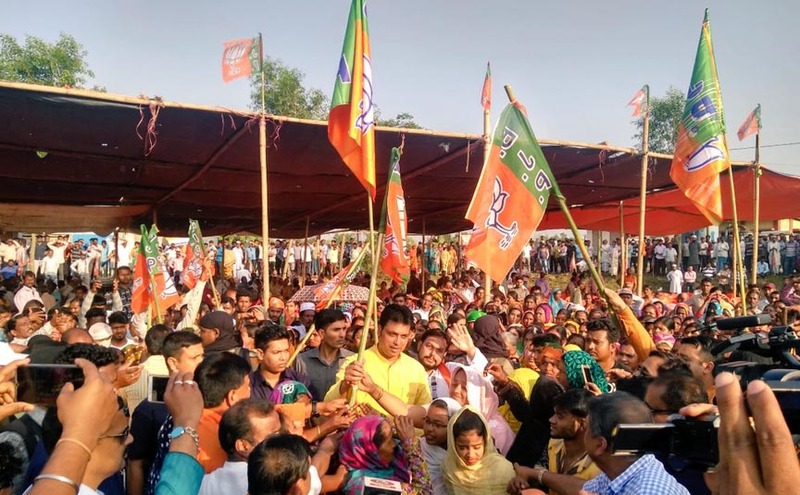 Tripura chief minister Biplab Kumar Deb on Sunday claimed that over 1,500 former Left and Congress supporters joined the Bharatiya Janata Party (BJP) during two different public meetings in the State. According to Tripura chief minister Biplab Kumar Deb while more than 1,350 former Left and Congress joined the saffron party on Sunday during a public meeting held at Sonamura in Sipahijala district of Tripura, 230 former CPI-M supporters joined the BJP at a public meeting organised in Kamalasagar near Agartala, the capital of Tripura on the same day. He also claimed that the 1,350 former Left and Congress supporters belong to 550 families. Deb also tweeted that the ‘expanding base’ of the Bharatiya Janata Party shows increasing belief among the people of the State on the philosophy of ‘Sabka Saath Sabka Vikas’. The Tripura chief minister also stated that the support of the people in Tripura extended to Prime Minister Narendra Modi would help ensure victory of the saffron party in the ensuing Lok Sabha polls. “The unprecedented support shown by the people for PM Shri Narendramodi ji in Tripura & across the country shall ensure a spectacular victory for BJP in Lok Sabha elections 2019,” tweeted Deb. ???????? ?? ?? ?? ???? ?, #???_??_???_????_????? ?